Closer to home we also realized floating projects, the most iconic example is the floating pavilion in Rotterdam. The floating pavilion was initiated by Blue21 / Deltasync and is a pilot for building on water as a first step towards floating urbanization. The urban development in unprotected areas outside the dikes is of major importance to the city of Rotterdam. With this project the municipality of Rotterdam took a pioneering role in climate adaption and delta technology. The floating pavilion demonstrates how cities can pro-actively adapt to the effects of climate change. Many of you may have seen the floating pavilion on your way to today’s venue as it is located behind this building (Lantaarnvenster) in the Rijnhaven. In cooperation with InHolland University of Applied Sciences, Blue21 developed a masterplan for redevelopment of the Rijnhaven harbor. It combines many floating building blocks that already exist. Like floating houses, floating wetlands, breakwaters and roads. The Rijnhaven is an ideal playground for floating innovations and the picture above shows what the future of the Rijnhaven could look like. 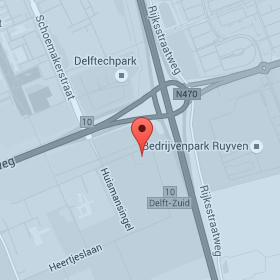 At the moment the redevelopment of the Rijnhaven is just a plan. But if we take climate change serious and care about the wellbeing of people and our planet, then we need to take action now. Plans like these are a stepping stone for floating urbanization and sustainable projects to save our oceans, the planet and the lives of people. New developments and initiatives that improve the quality of life can be commercially attractive at the same time! Development of floating neighborhoods and floating cities are a unique opportunity for the Netherlands to become a world leader in floating developments. As an early adapter we can create a competitive advantage over other countries and companies in the world. Dutch floating developments can become an export product by which we are going to write history and save people, our oceans and our planet at the same time. The example of Malé is symbolic of modern-day land issues that we also see in the Netherlands. For instance, the population and real estate prices in our capital Amsterdam are skyrocketing for similar reasons. In last week’s newspapers it was announced that there is a shortage of 42,000 houses in the Amsterdam region . This problem could be solved fairly quickly by building floating neighborhoods in old harbors near Amsterdam or on the IJmeer. Floating developments can be built significantly faster than building houses on land. Besides, floating neighborhoods do not have a devastating impact on the environment that land reclamation does. They can be environmentally friendly as explained in the example of French Polynesia. 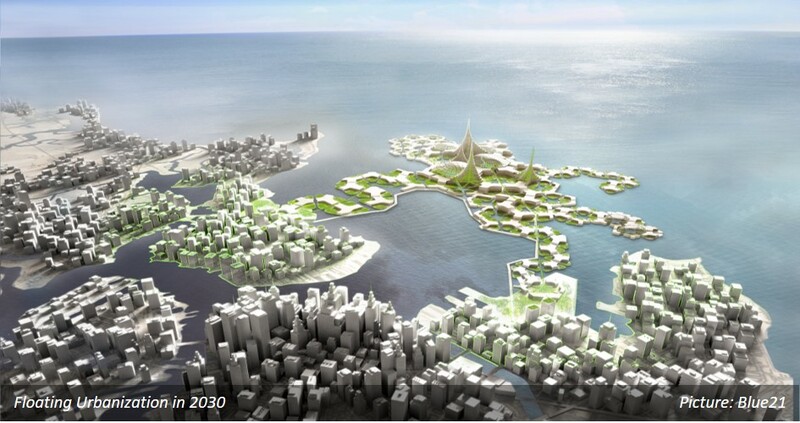 Although it is technically feasible to build large floating structures on the sea, it is commercially more attractive to expand the land to floating islands in densely populated areas. This is the approach that we are taking at Blue21. We are currently working together with local people and governments to build the first floating neighborhood. We will need your help to turn these plans for floating developments into reality. We will need your help to solve the problem of land scarcity due to the growing world population and climate change. We can save our oceans, we can save our planet and we can improve our quality of live, all at the same time. 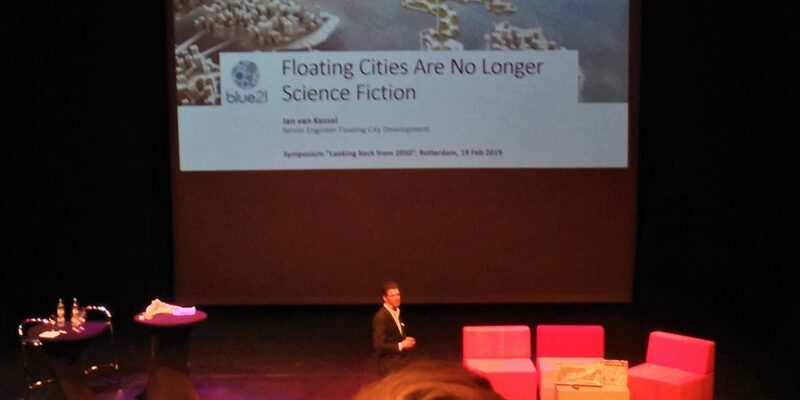 I have shown today that floating developments are not science fiction, it is technically feasible and it is already happening. However, to meet the global challenges we are currently facing we don’t have a lot of time… 2050 is closer than we think. 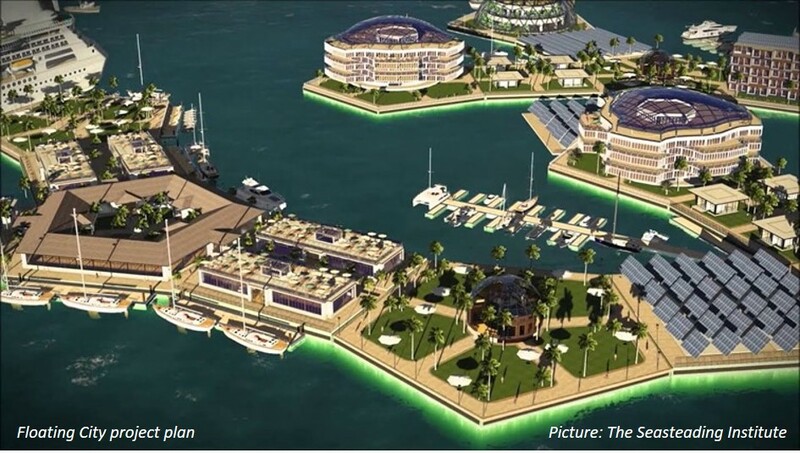 Floating developments could save the lives of people in low lying areas like coastal cities and island communities. It provides space for the growing world population. And at the same time, it can produce food and energy in a renewable and sustainable way. Our future is on the water! Many thanks to the student association “William Froude”​​ at Delft University of Technology and the Royal Netherlands Society of Engineers (KIVI) for the excellent organization of the symposium “Looking back from 2050” in Rotterdam, the Netherlands on 19 February 2019. Many thanks also to Richard Gray, author of the inspiring article about land scarcity in the Maldives , which served as an introduction for the presentation. Appreciation and acknowledgements also go to The Seasteading Institute and Blue Frontiers for their collaboration with Blue21 and making the first steps toward floating cities. Last, but not least, many thanks to colleagues Barbara, Vicky, David, Harriet, Bart, Karina and Rutger at Blue21 for their support in preparation of this presentation.